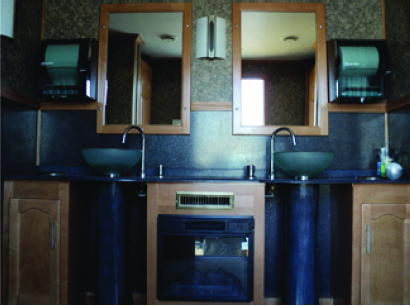 The LUX 7 transcends all expectations of what a mobile washroom can offer. 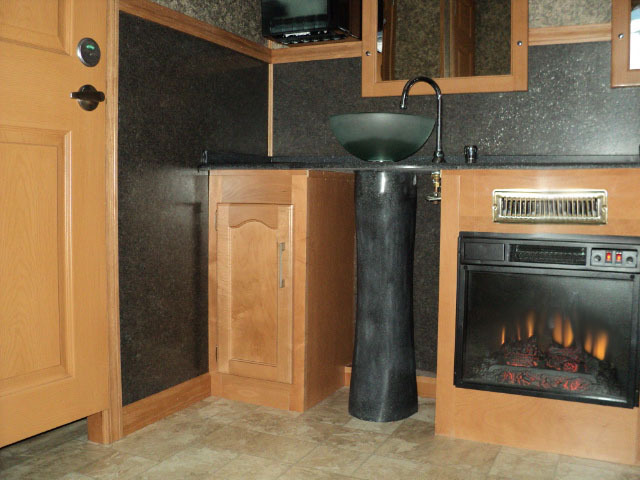 The interior represents the apex of available luxury in the industry with fine crafted maple woodworking, marbled walls, speakers throughout and even a fireplace. External 100" X 226" X 145" and tongue at 52"
Footprint required: 214" X 302"